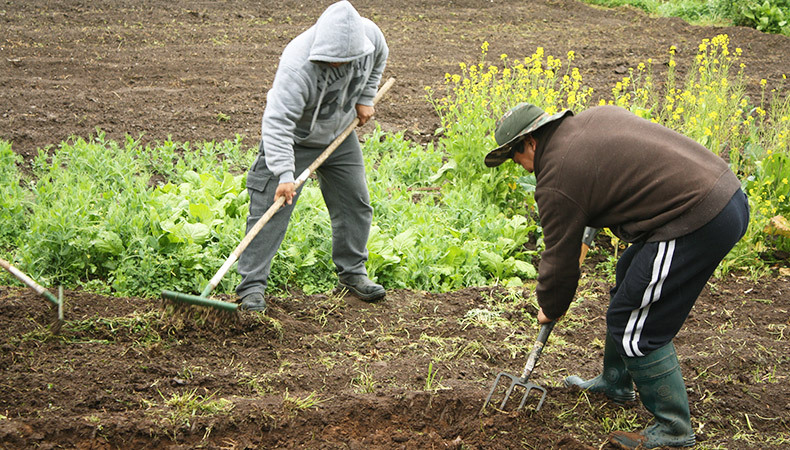 Green Patch community farm trains refugee job seekers in gardening and horticulture. It builds refugee families’ sense of community, skills and self-esteem. It is located near Melton in Melbourne’s outer west. With the support of local farmers, businesses, parishes and volunteers, refugee families work the land to grow produce for their table and for sale. Refugee families involved in Green Patch come primarily from Myanmar. They benefit from meeting and working alongside people from their home country, who understand their community, culture, and the importance of connection to land. We help families to access other support including: homework support, health, English conversation, etc.